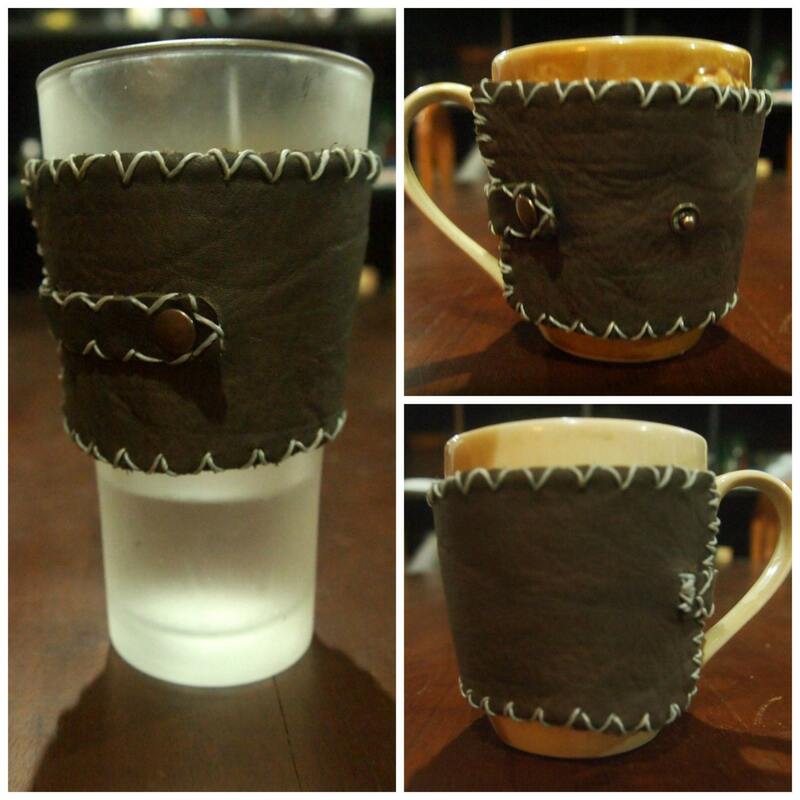 Funky leather cozy for your coffee mug or tea cup. Adjustable with two buttons so it will fit your average sized mugs (4" tall, and 10 - 10.5" around) and also your local coffee shop cup. This would make a great gift for someone you know who loves tea or coffee or even if you want to treat yourself . Folksy :: Buy "Mug Cosy Warmer Sleeve Wrap"